The Index is still consolidating. However, the current wave structure implies that the price may continue moving upwards inside the fifth wave. We can’t exclude a possibility that on Thursday, right before the weekend in the USA starts, the bulls may reach a new maximum again. 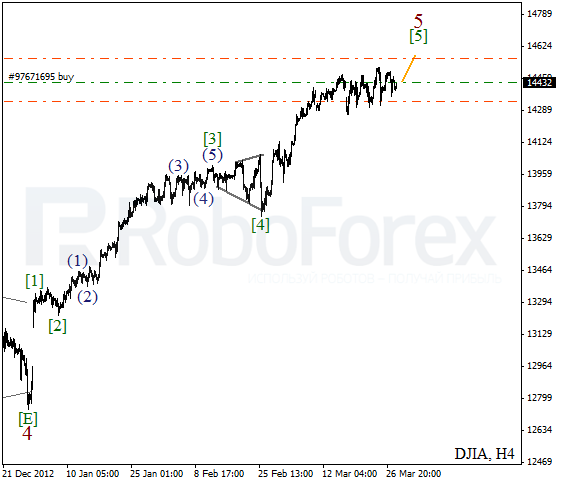 The wave structure at the H1 chart is becoming clearer. 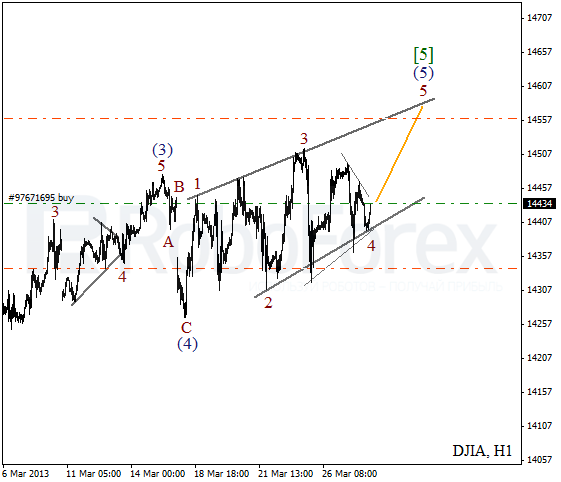 We can’t exclude a possibility that the price is forming diagonal triangle pattern inside the fifth wave. On the minor wave level the Index is finishing the fourth wave. In order to get some profit out of wave 5 I opened a short-term buy order. It looks like Oil is completing zigzag pattern inside the second wave. Take Profit on my yesterday’s buy order worked. The market is moving upwards quite fast, so I think one shouldn’t open sell orders until the price forms a clear descending impulse. More detailed wave structure is shown on the H1 chart. 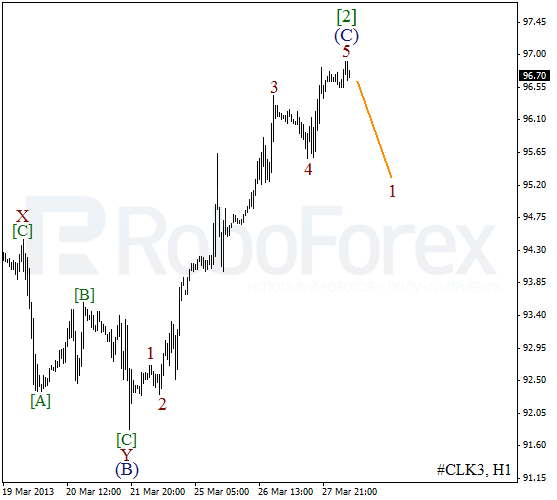 It looks like the price completed an ascending impulse inside wave (C). 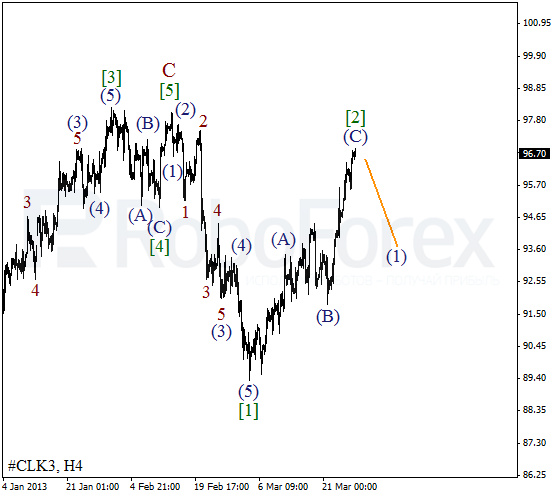 If later Oil forms a bearish impulse inside wave 1, I’ll open several sell orders during a local correction.